Unlike similar applications this one wont freeze. 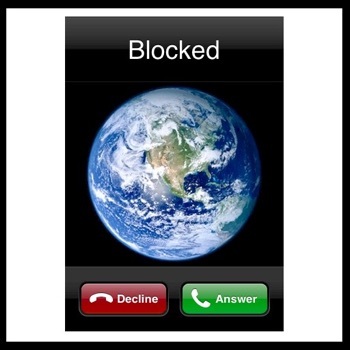 IBlocked call application is the simplest way to pretend a call when you need it most! Whenever you feel like it, you just tap on the planet picture background; and your iphone will ring as a normal call would. It also appears in the screen as a normal call with the options to answer or decline the call, which in this case work as a stopping mechanism for the ringing. Unlike similar applications, there is no setup required! It is not a real call so you do not have to worry about any minutes or roaming fees; it is just the cell phone ringing to help you leave an uncomfortable or boring situation. Its that simple and affordable! Don't get stuck in another boring meeting or encounter, just get an IBlocked call!